Users interact with the illustrated mural and learn more about donors with sliding touch display. 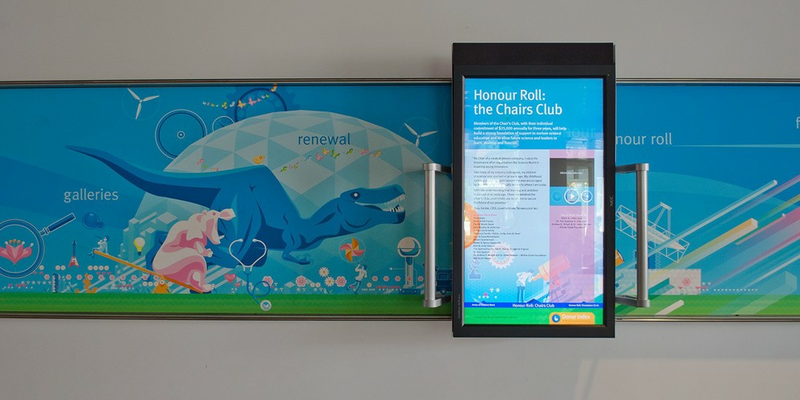 For donor recognition, Science World decided to create an interactive mural that would acknowledge all the incredible support it had received through out it’s history. I was tasked with providing an illustration that would act as a background for a large touchscreen which would display the donor information while animating elements of the illustration behind it. 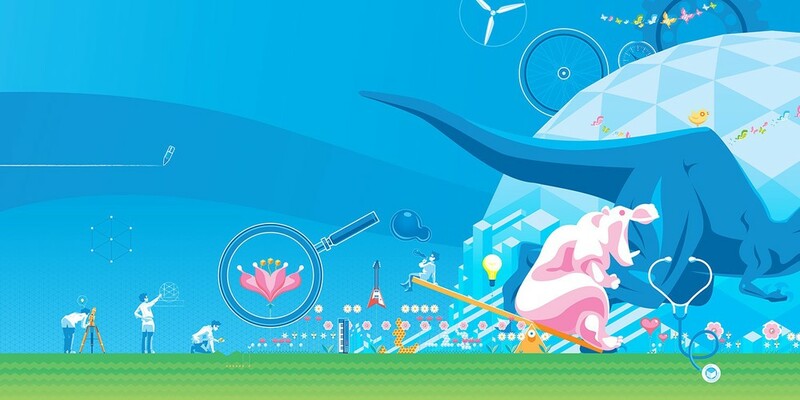 I proposed a mural that would illustrate, left to right, the birth, nuturing and growth of an idea.